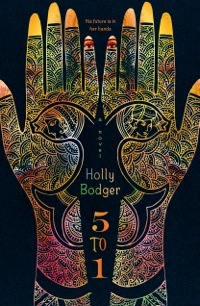 Sweet Sixteener Darcy Woods recently spoke to Fearless Fifteener Holly Bodger about her YA Dystopian half-verse novel, 5 TO 1 (May 12, 2016 from Knopf Books for Young Readers). 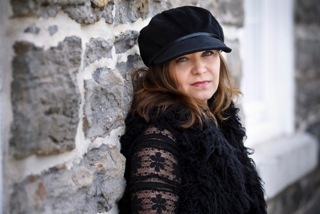 A long-time resident of Ottawa, Canada, Holly has been working in publishing since she graduated with an English degree from the University of Ottawa. 5 TO 1 is her debut novel. Find Holly on her website, Twitter, Facebook, Pinterest, Tumblr, Google+, and Goodreads. 5 TO 1 is available for purchase at Amazon, Powell’s, Books A Million, Barnes & Noble, and Indiebound. Darcy: One of the (many, many!) things I loved about 5 to 1 is the unique way you handle the alternating POV. We have Kiran’s chapters told in prose, while Sudasa’s are told in verse. Did you know from the story’s inception you’d want to structure it this way? Or did your characters bosstalk you into it? Holly: The original version of this novel was actually only from Sudasa’s POV. It wasn’t until I received feedback that the world building was not working in verse that I got the idea to add a second POV. Of course now I can’t even imagine the book without Kiran! It is as much his story as Sudasa’s and I really feel like we need both in order to see the whole picture. Darcy: What was the most difficult part of writing this book (aka: your black moment) and how did you overcome it? Holly: Hmmm. I’d probably have to go with the setting on this one. I originally thought I could set this book in a fictional country that sounded like India, but wasn’t actually India, but as time went on, it became more difficult to be vague. When I sold the book, my editor said she wanted more of India and I knew I had to bite the proverbial bullet and spend the next few months on research. Of course, that’s when I totally fell in love with India and had to almost stop myself from putting in too much. Darcy: Okay, the publishing learning curve. As debuts, I think we’ve all learned a thing or sixty about the process. But if you could go back in time–from sale to now–what would you tell your newbie self? Holly: I would tell my newbie self to do every possible thing I could think of MONTHS before release because SO MANY THINGS will come up in the weeks before, plus your brain will turn to overripe banana making almost all coherent thought impossible. Did that make sense? Wait, who am I again? Darcy: What has been the most valuable tool(s) for you as an author that has taken your writing to the next level? CPs? Writing organizations? Fresh, oven-baked cookies? While I have been known to overload on writing books, conferences and organizations, the thing that has taken me forward has definitely been my writing partners. It’s very hard to find ones you mesh with, but once you do, you honestly cannot live without them. I have a melange of partners who all help with very different things. They are seriously invaluable. I used to sell “tip sheets” for horse races. Probably Cosmo, Glamour and Vogue. And a lot of Margaret Atwood. Homebody or gypsy–what’s your favorite pocket of the world? Homebody although I do adore Britain. Music to write by? Or is silence sublime? Usually, it’s absolute silence, however I do spend a large amount of time writing during my daughter’s dance classes so bagpipes would be the backup choice. How many fascinators do you own? Um… four? But I do have around twenty hats. Or more. I’ve lost count. Darcy Woods had three big loves in school: Reading, writing, and pizza day. Some things never change. She now lives in Michigan with her madly supportive husband, and two tuxedo cats who overdress for everything. Once upon a time, she was in an aviation unit in the US Army and threw live grenades. Now she throws words. 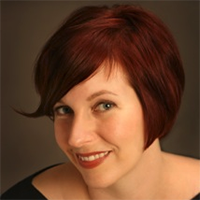 She is represented by Catherine Drayton of InkWell Management. Darcy’s debut novel, SUMMER OF SUPERNOVAS (Random House/Crown BFYR, Summer 2016) is a Young Adult Romance. You can find Darcy on her website, Twitter, and Goodreads. Wow, I can’t even imagine trying to write a book half prose, half verse. I’m pretty much in awe of you, Holly. Congratulations on penning a fabulous, unique book! Yes to all that, Sandy!!! And Holly does a phenomenal job of fluidly switching between the POVs. End result? A seamless and beautiful story! Holly, I think you should go into more detail about your invaluable writing partners. I really think you should. So so soooo happy 5 to 1 is finally out in the world! Can’t wait to see the newest fascinator in NYC! Darcy and I can stand on each side of you in case of rain. Not that there’s much rain happening in the Marquis, but still. You could keep us dry. Oh, Kim, you’re so full of…great ideas! 😉 But I thought you were going with big Hollywood sunglasses, no? Many thanks for dropping by and sharing in the 5 to 1 (and fascinator) Love Fest! You’ll always have the splits to steal my thunder! Once I put on the GH Spanx, it’s a miracle I can bend enough to sit! What a lovely interview! But I’m not surprised. 5 to 1 is an amazing book and I can’t wait for school to get out so my daughter can read it! Thanks, Sharon! And oooh *bounces on toes* I’m so excited for your daughter to read it, too! I hope she likes it, Sharon! Thanks for joining us, Holly! What a fun interview! Great questions, Darcy! Holly, your novel is beyond amazing! Can’t wait to give you congratulatory hugs (along with cabana boys) in NYC. Can’t wait to see you! I hope them boys know how to Conga! And we’ll require autographs, too, right, Bonnie? So appreciate you swinging by the Sixteens and celebrating our Golden Heart sister!!! Great interview, guys! I have 5 to 1 sitting on my dresser right now, teasing me with its nearness. I’m really looking forward to the read. Holly, I’m so impressed you wrote half the book in verse! Almost as impressed by that as by your fascinators. Can’t wait to see what you’ll wear in NYC this July. Hey Tamar! I wholly agree. Great CPs turn your story into a symphony of words! Ha Ha. I think the fascinator hurt more. Maybe not! Thanks for the flyby, my friend! I love this book madly and I love you two madly so naturally I loved this interview madly. Gaaa, must read 5 to 1 again! And my heart beats madly for you (and your AMAZING book) too!! !